Following the successful release of 'Rihanna' which is making waves all over the music world; the Kiddominant produced cut has been confirmed the biggest Nigerian dance hall song in Africa presently. It recently debuted No 1 on Channel O Africa Countdown also nominated for best ragga/dancehall video for both Nigerian Music Video Award and the South South Music Award respectively. 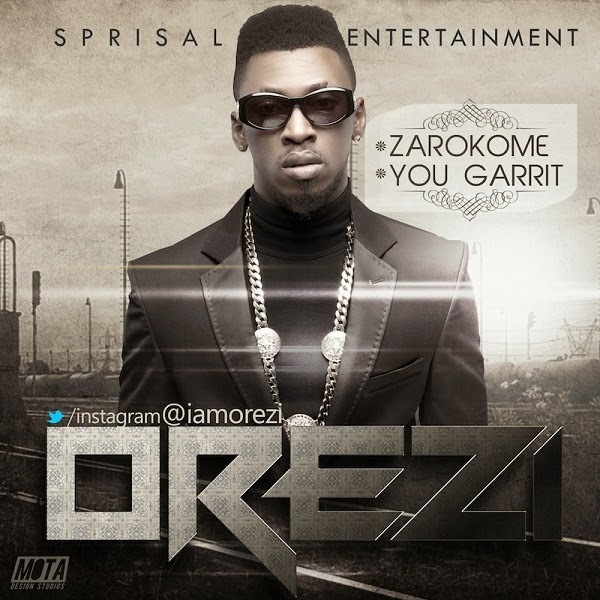 Orezi is not stopping at all! This time he is back with a song that is said to be the best love anthem of the year, a song everybody will want to listen and dance to from old to young, a song you definitely want to hear on your wedding day 'ZAROKOME' which means dance with me in his native language of Isoko and was produced by hitmaker Kiddominat. "YOU GARRIT" is without question a club banger produced by the award winning producer Del'B, who interestingly produced Orezi's first ever official single 'I No Fit Lie'. Orezi promises to feed his dance-hall fans soon with a world class dance-hall vibe before the end of year. Orezi hotly anticipated album is almost done and the release date will be announced soon.